03559 Fiskars SURECUT CARD MAKING Paper Trimmer Cut Line 9 Inches at Simon Says STAMP! 03559 /12.2 This item is on reserve until If you would like to reserve this item now, you may purchase it now with the rest of your order. We will hold your order now and ship your entire order as soon as this item is back into stock. If you would like your order to ship now, please place this item on a separate order. 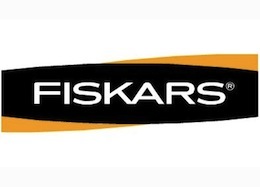 Success, 03559 Fiskars SURECUT CARD MAKING Paper Trimmer Cut Line 9 Inches has been shared! Craft perfect cards on the go with a compact, portable trimmer. Our SureCut™ Card Making Paper Trimmer is compact, portable and specifically designed for card-making enthusiasts like you. The SureCut™ wire cut-line indicates exactly where the blade will cut your card-making materials. Our patented TripleTrack™ System interlocks the blade and rail for straight, precise cuts every time. A permanent scale and grid cutting mat helps ensure cutting accuracy. An ergonomically designed, high-profile blade carriage is easy-to-grip to help you make accurate cuts quickly. It even includes a lightweight, compact design and built-in three-ring binder holes, making this trimmer one of the most conveniently portable units on the market.